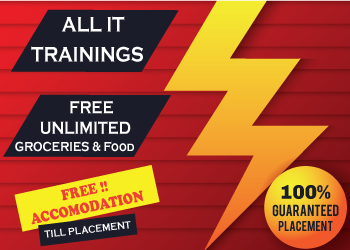 Optional Practical Training is the official work permit granted to international students who enter United States of America with the intention of pursuing further graduation. They are allowed to work for a certain limit of time period; the students can extend this work permit time under certain conditions by meeting the necessary requirements. There arises a period where the student needs to apply for opt to h1b extension. Under the prior regulations, F-1 students had to apply for post-completion OPT prior to graduation. This rule allows F-1 students seeking initial post-completion OPT to apply during their 60-day departure preparation periods in the same way that they are allowed to apply for a change to H-1B status during their departure preparation periods. There is a specific time period in which a student can apply for the OPT Extension like the application for the post completion of OPT can be applied prior to the end of graduation. Students may apply for the OPT extension at any before the expiration of the current OPT. The OPT Extension is also possible under the condition that subjects of the student are of STEM i.e. Science Technology Engineering and Mathematics. Having the STEM degree permits the student to extend the OPT period from 12 months to extra 17 months having the total 29 months of the OPT period. This extension of the OPT period for STEM degree holders gives U.S. employers two chances to recruit these highly desirable graduates through the H-1B process, as the extension is long enough to allow for H-1B petitions to be filed in two successive fiscal years. Students may apply for an OPT extension at any time prior to the expiration date of their current OPT period. Students on Opt have innumerous doubts about the H1B visa and have the various queries regarding the extension of the Opt. They are also unsure of how to convert their F1 status to H1B status in order to continue or maintain their work status. The same confusion lies in the mind of employer as they do not have strong knowledge of facing the employee query. They are unclear about the procedure to be followed to enable them to retain the services of the foreign national student once they have completed OPT. F1 visa: It is the visa given to the international students willing to pursue graduation in USA. OPT: Optional Practical Training is a work authorization in which the foreign student is allowed to take up the employment related to the field of study. For the student to be eligible for it certain requirements need to be fulfilled. H1b status: The H1B is a nonimmigrant visa classification for “specialty” workers. It permits the foreign residential to work temporarily in the U.S. and perform services in a prearranged professional job. The job must be in a ‘specialty occupation’ and must require a bachelor’s degree as a minimum for entry into the field. H1B cap: The US embassy allows total number of 65000 visa applications every year. There is limit on employer for not being able file the visa application six months prior to permissible date. H1B cap gap: It is the period where the students F1 status has expired but application for the H1B is under the process and the candidate is unable to work. The very first step in terms of starting for the OPT extension or converting from OPT to H1B is to find the right kind of companies or employer who can file the H1B visa petition paying the entire required fee. The employer must show the readiness to spend the time behind the documents and must be reliable to carry out the petition filing process. Filing the H1B petition through the right employer is not enough it is also important to file in time. Every year 65000 and additional of 20000 H1B visa are available for those have master degree from USA. To have the assurance of getting visa, the candidate has to file visa in the time limit specified. The candidate cannot start working until the H1B petition file has been approved. After finding the right employer, wait till the employer files the application and have patience for the application to be approved. Only after the approval the candidate is been granted the H1B status after which he can start working. 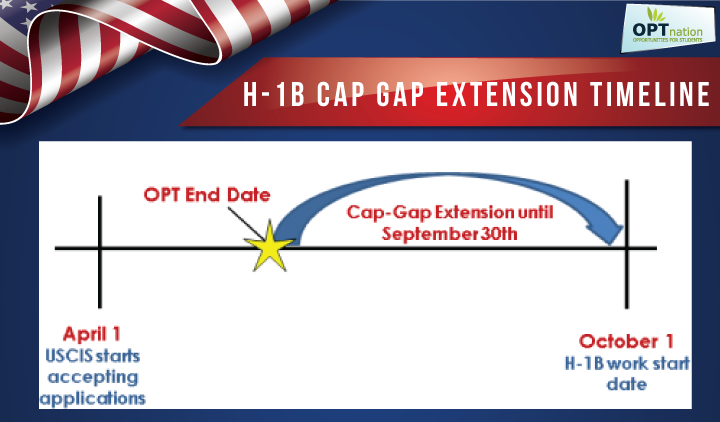 The duration of expiration of f1 status and start of H1B visa is called the cap-gap. The students are permitted to stay in USA. Current regulations allow certain students with pending or approved H1B petitions to remain in F1 status in the United States during the period of time when the student’s status or work authorization would otherwise expire up to the start of his or her approved H1B employment period. When the students F1 visa expires the first priority should be given to find whether they belong to the cap gap category or not. There are candidates who do not qualify for the same, those have to leave the country and apply for the H1B from outside USA. Those students who have the unexpired EAD and have applied for the post-completion OPT can come back to USA to resume the employment. If the EAD expires then the student cannot return on the F1 status back to United States of America. In such cases the application needs to be filed from abroad and the candidate cannot enter back until the mentioned dates on the H1B visa. Students changing status from OPT to H1B must also keep in mind that if they leave the U.S. during the “cap-gap” extension, they may not be able to return back to the U.S. before the start date mentioned in the petition and without obtaining an H1B visa in a U.S. consulate or embassy. F1 students in a bachelor’s, master’s, or doctoral degree program may apply for authorization to engage in temporary employment for Optional Practical Training directly related to their major area of study. Employers filing H1B petitions for F1 students employed on OPT need to ensure that the applications are timely filed during the H1B acceptance period and while the student’s authorized duration of status admission is still in effect, to avoid any undesirable breaks in employment arising due to cap-gap issues.